Stelian holds a C-54 license specializing in tile work. Alpha Custom Tile focuses specifically on tile flooring, back splashes, custom tile showers and tile removal. Throughout his time as a contractor, Stelian has found that his work involves strict attention to detail. He said, “Customer service is our top priority and we make sure every project is treated like it were in our own house”. Stelian believes that the skills he possesses are a “gift from God” which he is grateful for and enjoys sharing with others. Seeing customers reactions to the finished product brings him much joy. When Stelian was asked to talk about his best contractor work to date, he stated Allen Guldin, Inc. without hesitation due to the project’s great organization and dedication. 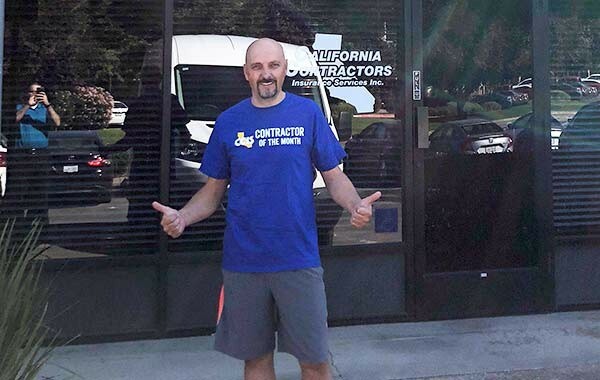 CCIS would like to wish Stelian the best of luck on his continued success within the industry, and a big thank you for your service to our community! To find out more about Alpha Custom Tile, check out Stelian’s website at https://alpha-custom-tile.business.site/.